Line a 12-hole ⅓-cup-capacity (80ml) muffin tin with cases. Following the packet mix instructions, place the cake mix, grated carrot, oil and eggs in a large bowl and mix until combined. Divide the mixture between prepared muffin cases. Bake for 35 minutes or until cooked when tested with a skewer. Allow to cool in the tin for 5 minutes before placing onto a wire rack to cool. 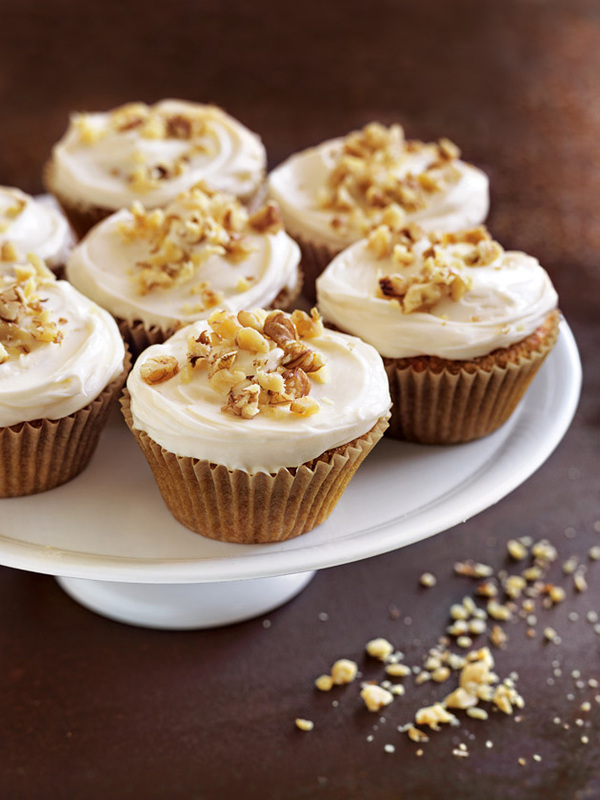 While the muffins are cooling, make the icing. Place the icing mix, cream cheese and milk in a bowl and mix until light and smooth. Spoon over muffins and sprinkle with walnuts to serve. Makes 12.